Anonymous, Advertisement for Burberrys, London, c. 1918. Courtesy The Advertising Archives. As this advertisement stresses, the breathable qualities of Burberrys' products made them suitable for all climates. The polar explorers Amundsen, Scott and Shackieton all wore Burberrys' garments during their expeditions. Anonymous, Advertisement for Burberrys, London, 1918. Courtesy The Advertising Archives. Thomas Burberry developed the breathable waterproof fabric 'gabardine' for agricultural workers. In 1901 the company designed a new service uniform for British officers and went on during the First World War to creote the invaluable 'trenchcoat', a fashion staple ever since. 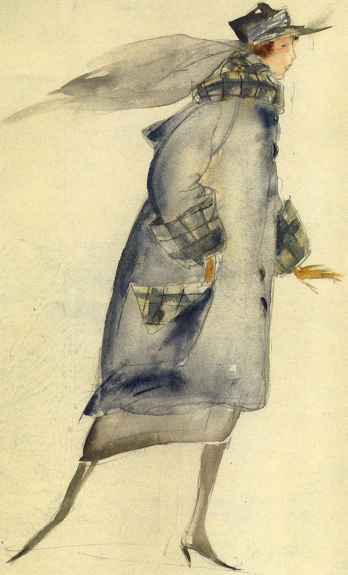 Heddi Hirsch, Design for a coat by Wimmer-Wisgrill, 1919. Watercolour. Courtesy MAK: Austrian Museum of Applied Arts/ Contemporary Art, Vienna. Early Wiener Werkstatte designs were perceived as too 'artistic' for general taste. During the war, anti-French feeling encouraged a self-conscious Austrian aesthetic and more practical ideas, resulting in the type of warm, comfortable coat with checked lining that we see here. 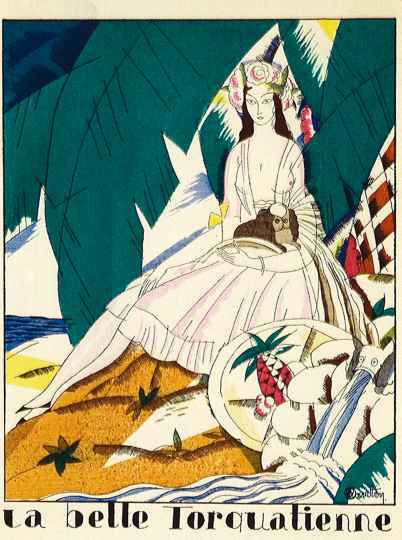 Jean Dulac, Beachwear from La Grande Maison de Blanc, Monsieur, July 1920. Pochoir print. Courtesy The Stapleton Collection. 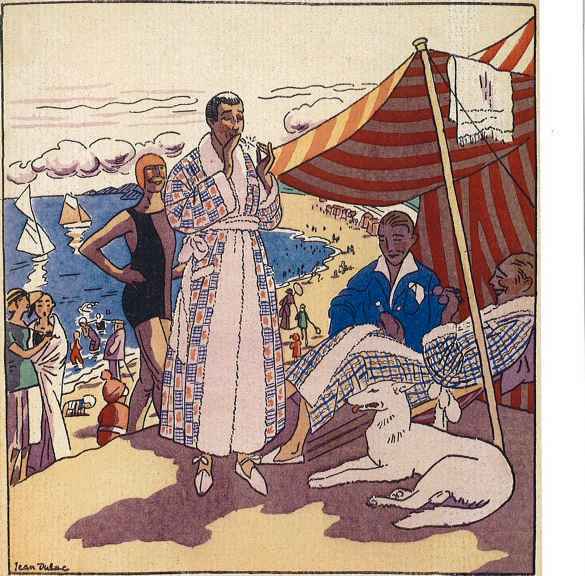 Two 'Messieurs' draw admiring glances as they appear on the beach in printed, towelling-lined dressing gowns. Swimming costumes were by now more fitted and sleek, improved by elastic and advances in textile technology. Benito, 'Le Bassin d'Argent', Gazette du bon ton, February 1920. Pochoir print. CSM Archive. A black satin dinner dress with jade-green fringed ribbons arranged at the hips to imitate panniers. 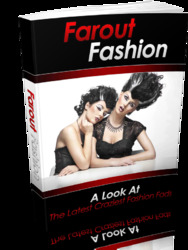 There was a revival of interest in 18th-century styles in the 1920s, especially apparent in the designs of the couturier Jeanne Lanvin. 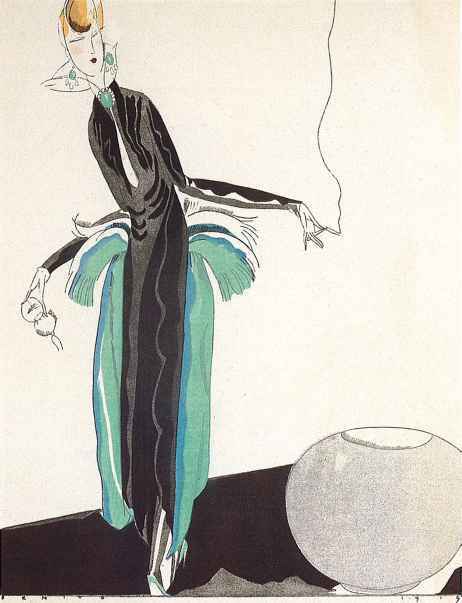 Benito, a Spanish illustrator influenced by Modigliani, had a long association with Vogue and did many covers for them in Art Deco style. 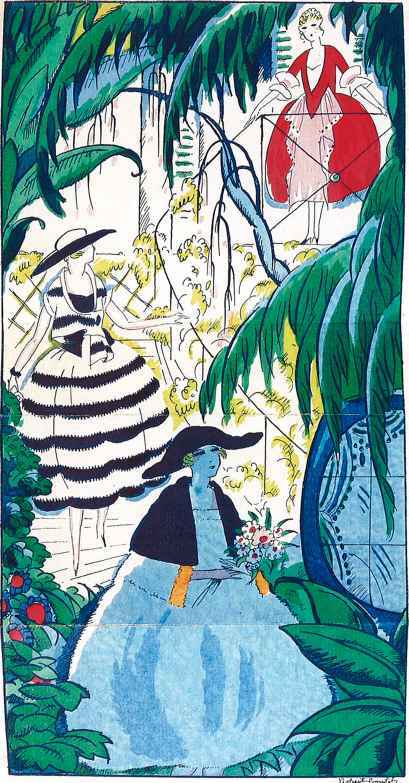 Robert Bonfils, 'Beoulieu dans les Fleurs', Gazette du bon ton, March 1920. Pochoir print. CSM Archive. Bonfils' softer, more romantic style pays homage to the appeal of the 18th-century aesthetic. 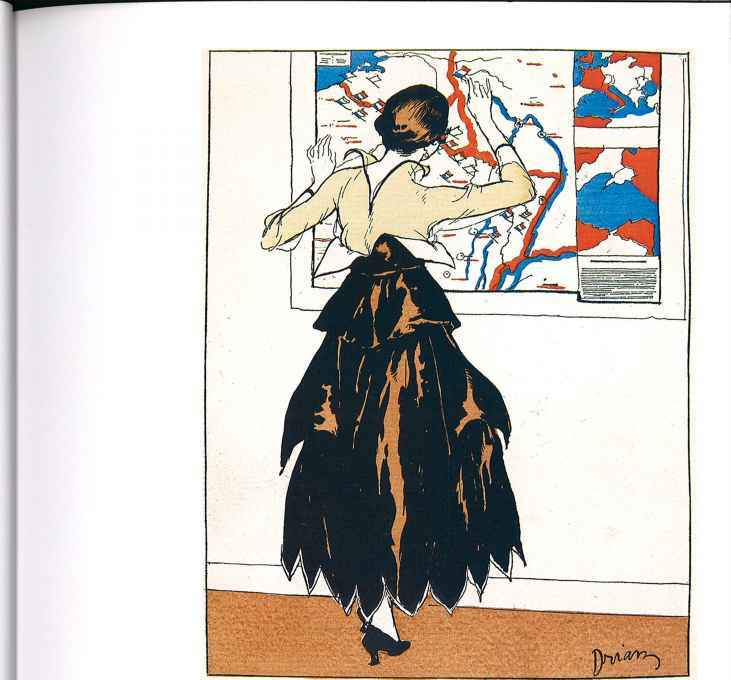 Charles Martin, 'La Belle Torquatienne', Gazette du bon ton, May 1920. Pochoir print. Private Collection. 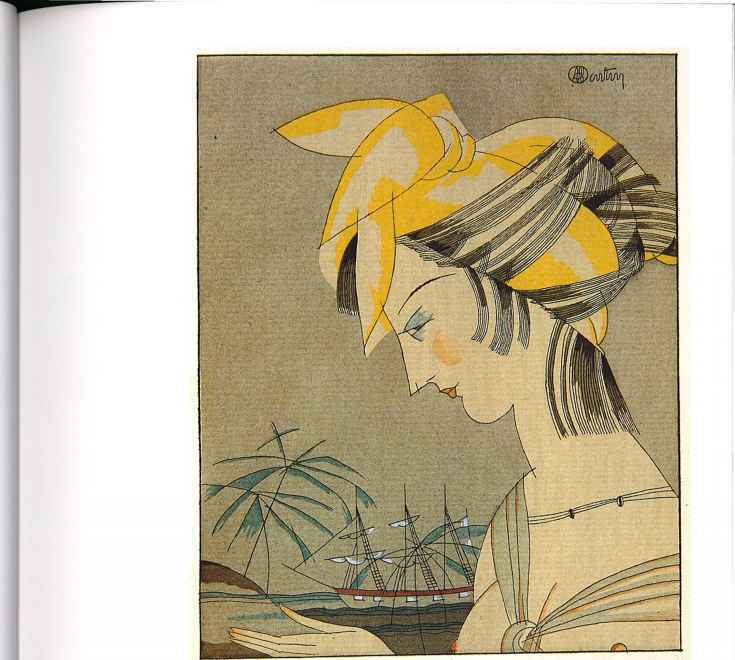 Martin, one of the most Art Deco illustrators on the Gazette du bon ton, went on to work for Vogue, Femina, Eve and Vanity Fair until his death in 1934.